Alaska Airlines wants to get better and better at being a leader in environmental responsibility, so today we’re here to learn from you,” said Joe Sprague, Alaska Airlines’ senior vice president for communications and external relations, in his welcome address at the 2015 Alaska Airlines Environmental Innovation Challenge. 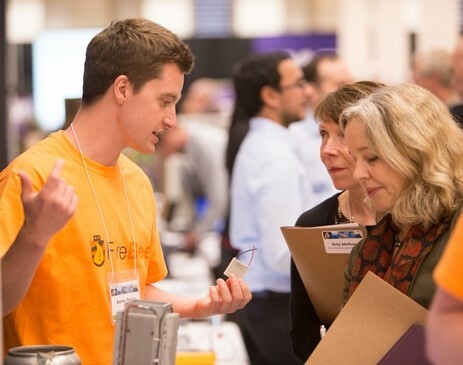 The “you” he was speaking to was a group of 22 student teams from 7 colleges and universities across the state of Washington, gathered at the Seattle Center to pitch their innovations in clean technology, renewable energy and water resource management. 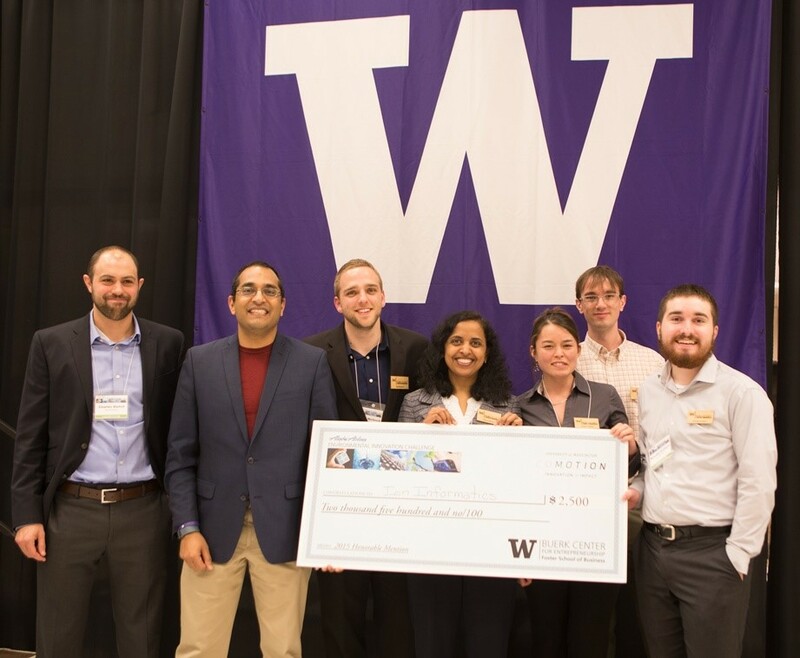 Throughout the afternoon these innovative and entrepreneurial students demonstrated their prototypes and fielded questions on everything from technology issues to market viability from a room full of 160+ judges and another 100 guests. While all in attendance undoubtedly learned something from every team, only five teams went home with a portion of the $37,500 in prize money. 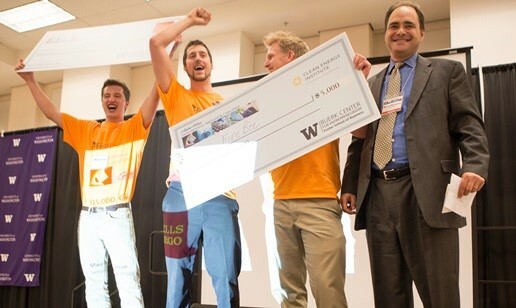 Congratulations to the winners of the 2015 Alaska Airlines Environmental Innovation Challenge! FireBee is a portable thermoelectric generator that turns cooking fires into personal power stations, creating an alternative energy source for people in countries that are otherwise off the grid. Hook is a home automation hub that allows customers to convert existing electronics to smart devices, decreasing energy consumption, improving home safety, and reducing the amount of electronics that are routinely discarded in landfills. EcoStream builds awareness and lifelong habits to conserve our most valuable resource by helping people conserve water and change their usage habits in a fun and inexpensive way. Bettery provides a better model for battery use: a reusable subscription service that gives consumers unlimited access to reusable batteries with a monthly subscription. Ion Informatics is developing a proprietary technology that provides critical information to battery operators, optimizing asset utilization and prolonging the useful life of the battery. The end effect is a dramatic increase in value that can be extracted from each battery by enabling viable second use battery systems.